Perhaps, like me, you also wanted to be Marty Mcfly when you were younger. He was pretty well screwed together, even before the time travel. Marty knew his parents were dorks and he did his best to not let it affect him. He had a beautiful girlfriend. And he was friends with a mad scientist. Sounds like a pretty good time as a teenager. When Marty went back in time, in the process of fixing his screwup and putting his parents together again as a couple, he also fixed all the small complications in his life. When he got back to 1985, Marty’s parents were a successful, happy couple, and no longer dorks. Nor were his siblings. He had a great ride, the black Toyota pick-up truck. And Biff had turned into a loser. Sometimes, we all wish we had a time machine. If I could go back in time, there’s several things I would do differently. I could write a whole book about how I would have done high school differently, and university, but that’s something else. Maybe I’d fix my business, by going back 15 years to just after I’d left university. I’d explain to my younger self everything that I’d learned in the last 15 years, so that I could avoid making those mistakes again. I’d help the younger Simon to discover his true passion, which would remain undiscovered for a number of years. You probably haven’t heard my story before, so let me give you the Readers Digest version. I left Leeds University in the year 2000 without completing my degree. I was studying Economics and Politics but the program didn’t inspire me. I was so depressed that I wasn’t in a fit shape to complete my exams and coursework. I was signed off by the doctor, the counsellor and my tutors and left university to head back to London – without a degree. 3 years of study and nothing to show for it. I got a job at Deloitte in the City of London and hated every minute of it. While I was working at Deloitte, I burned through all my paid leave to complete my coursework and to go back to Leeds University to take my exams. I got my degree! And I was burned out. I was unappreciated at work. I hated my job. So I quit working for Deloitte. For the next 9 years, I ran my own business providing IT support to individuals and small businesses all over London. I was in demand, recommended and referred by many customers. But I was still miserable. When I read Michael Gerber’s E-Myth Revisited, I realized that I was never going to be able to build the IT support business into one that could be systemized to give me the freedom and income that I wanted. I attended my first GKIC event, the InfoSummit, in Atlanta, GA, in November of 2009. That’s when my life started to change for the better. I discovered my true religion – marketing. But that was still just the beginning of a journey along the right path. The truth is that I am the person I am today because of all my experiences until this date – “Back To The Future Day”, October 21st, 2015. I doubt I’d be so hungry for success if I hadn’t made all those mistakes along the way, whether before 2009 or after that trip to Atlanta. I’m a much better marketer now than I was back then. You have to make the mistakes yourself and learn from your experiences to grow and be more effective. I know so much more NOW than I did when I first discovered my passion for marketing. I’m not sure I’d want to take away all those learning experiences. They make me who I am today. So probably the one thing I would tell my younger self, if I had the opportunity, would be, “The best time to plant a tree is NOW”. It’s the same deal with the work I do with other businesses. I help business-owners implement systems for getting and using online reviews and testimonials in their businesses. There’s no point in a business-owner having regrets about all the testimonials and online reviews they’ve NOT collected so far. 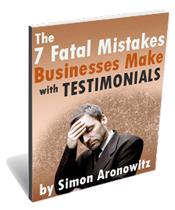 If you don’t have testimonials, you can’t use them to get a flood of new clients. Beating yourself up about what you haven’t done is a waste of energy. Well, almost…. It does have a value. If you haven’t been collecting testimonials from your customers or clients, feel the pain of what you’ve been missing out on all this time. But don’t wallow in that pain. Instead, let that pain drive you to finally DO SOMETHING ABOUT IT. I don’t want to fill up the rest of this page explaining why having the right strategy for testimonials and reviews will bring you a flood of ideal clients who spend more and refer more business. Let me just say that having the right testimonial and review strategy is the way to have all the customers or clients you could dream of. And as long as you do nothing about it, you’re leaving money on the table. You can’t go back in time and fix it. But you can plant that tree right now. Here’s the first action to take to switch on that flood of new business – download my free report and read it. You’ll learn the 7 Fatal Mistakes Businesses Make With Testimonials and Online Reviews – and, more importantly, how to fix them. 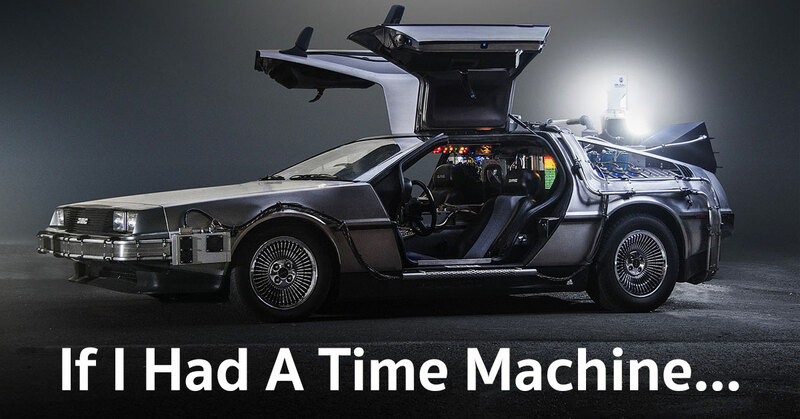 If you DID have that time machine, 30 years from now you could travel back in time to today. You would congratulate yourself for taking the most important first step ever to transform your business. So plant that tree today! Download my free report below.